Vinty Karalius was a legend for the club playing over 250 matches mostly as a loose forward. 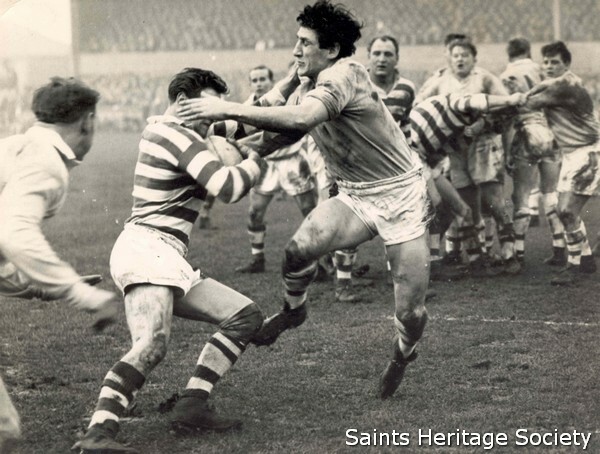 The Widnesian signed for the Saints from the famous RL hotbed, West Bank ARL club in1951. He was a fitness fanatic at 6 feet and 14 stones he was to become the complete loose forward and one of the all time greats. In 1953 Vinty was elevated to play in the Lancashire Cup Final against Wigan which resulted in a 16 points to 8 victory for the Saints. As his career progressed Vinty acquired a reputation as a brutal tackler especially as he refined his world famous ‘bear-hug’ tackle. 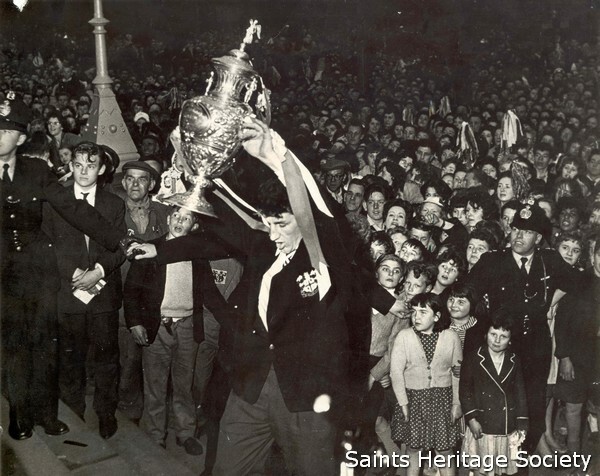 In 1956 Karalius was docked in the loose forward berth in the first St Helens side to lift the Challenge Cup, as the team defeated Halifax by 13 points to 2 at Wembley. Although Vinty’s defensive qualities were always in evidence from the outset as the decade progressed Karalius carved out a reputation as a dictator of attacking play using his huge hands to serve his team-mates with beautifully timed passes. Vinty was outstanding against the Australian touring side on November 24th. 1956 when the Saints inflicted a record defeat on the tourists by 44 points to 2. It was no surprise when the 25 year-old Vinty was selected along with four of his teammates to make the 1958 Tour to Australia. During this tour Vinty cemented his tough reputation being described as a long-jawed wild bull of the Pampas and dedicated wrecker of Australian forwards. In all Vinty played 10 times for Great Britain in his time with the Saints. He also won five Lancashire caps. 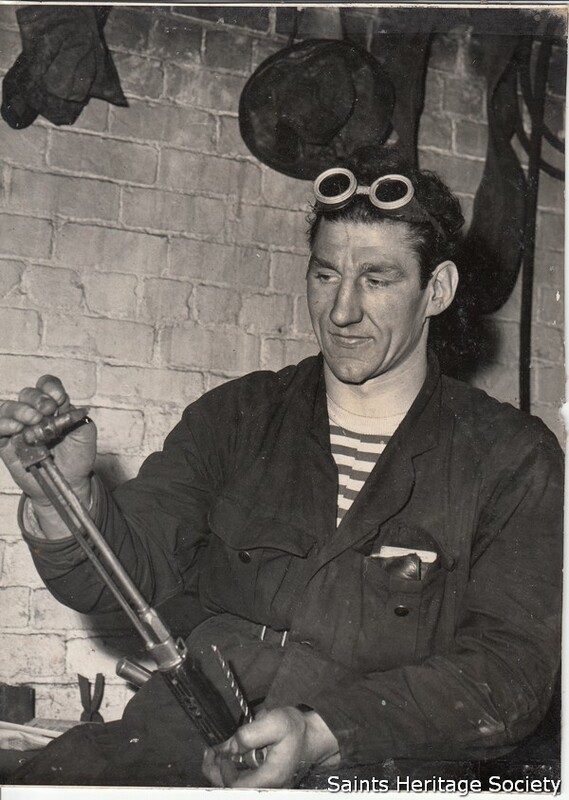 Karalius played a vital part in laying the foundations for many a Saints victory including the sensational 1959 Championship Final win by 44 points to 22 over a great Hunslet side. Vinty was the obvious choice to take over the captaincy of the Club when Alan Prescott retired. In this role he led the 1961 Challenge Cup winning team that defeated Wigan by 12 points to 6.